One of the first things I asked myself when I started Samyama Academy of Yoga was, “What is it that I want to teach?” and “How much fees should I charge the students?” I wanted to find my expression in a wide variety of meanings, as yoga the age-old and oft-misrepresented science is taught in various schools today. My first reference was from the school where I received my teacher training certification. I did my 200-hour YTT at Rishikesh and had researched several schools before joining the YTT program in Dayananda Ashram on the banks of the Ganges. I felt two things; the fee was high and the certification was liberal. It was clear that there was a demand from foreigners who wanted to learn yoga and get a certificate. I noticed that schools that offer TT programs, list their programs & schedule, call for enrollments, offer early-bird discounts, and also charged a fair bit for certification. I also noticed that schools offered differential fees for Indian and foreign students. Foreign students paid much more than their India counterparts. Later, I went to study at KPJAYI. I noticed that KPJAYI does not comply with the norm of the ‘time-bound certification process’. 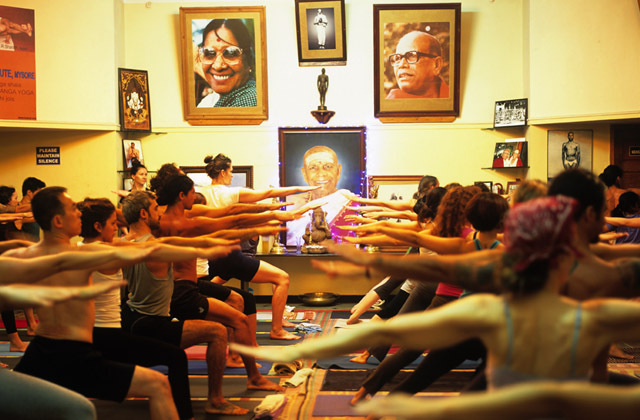 As the flag bearer institute of the Ashtanga Yoga lineage in India, the TT was clearly separate and not part of the standard teaching. A student needs to dedicate to the practice first and demonstrate resolve and perseverance before approaching a certification. At some point in the students’ practice, years after starting, the teacher would deem that the student was ready to teach. While I am not aware of the fee process for certification at KPJAYI, I felt this provided me with some of the answers I was looking for. I had always felt it was not appropriate to give out certificates to students who couldn’t do even basic asanas well. The fact that KPJAYI had a working model for this was a big learning for me. During my next study break, I decided to focus on meditation. I had started to meditate in 2006 and have been a regular meditator since. The personally challenging year 2011-12, was spent in meditation. I booked myself for Vipassana Meditation (as taught by S.N.Goenka), as being in silence for 11 days felt like the right thing to do. Also, I have always been drawn to Buddha’s teachings. What followed was life-changing. The method of teaching and the importance of practice was enlightening. Vipassana is taught without discrimination on nationality/religion/gender. To receive a certification, and to become a Vipassana teacher is a deeply involved process, requiring several years of dedicated practice. Vipassana works on a ‘pay it forward’ philosophy. Students can pay any amount they feel they want to, to help the teaching continue to students that follow. My journey in my own school followed the outline above. I started my school by charging similarly to what schools in Rishikesh would charge for certification programs. I charged differently for Indians and foreigners. I was not at peace with this decision. Yet, I pursued, in the solace that I was doing what was already accepted to several people. When I came back from studies at KPJAYI, I stopped offering teacher training, which completely dried up my revenues. However, I still charged more for foreigners than Indians. I was not sure if I wanted to change that, though it bothered me. I wasn’t ready to do what I felt was right. When I returned from Vipassana, everything changed. I felt more strength and peace and wanted to do only those things that gave me peace of mind at large. I felt it was wrong to charge differently for foreigners and Indians. In fact, several foreigners travel long distances and spend quite a bit of money just on just travel and accommodation. Of course, the downside of merit-oriented certification is that as a teacher you cannot guarantee to certify anyone until you have spent several months observing their practice. Students do feel that they do not want to spend time in a place that does not guarantee certification. The downside of charging non-discriminatory fees for foreign students is that foreigners can tend to view the teaching as not-up to the mark, as they live in societies where they interact in predominantly commercial frameworks of demand-supply pricing and profiteering. I have had several foreigners ask me why I would charge so less, given that other schools charge much more. I have not been able to answer that question satisfactorily. Personally, I feel the whole teaching of yoga and meditation is to deepen the individual’s desire to turn inward. Given its nature, the teaching of yoga and meditation should be non-discriminatory and be very demanding on a students’ commitment to study. The teaching starts with the body but is really about the mind, the ego, and the wisdom required to go beyond leading life simply based on existing engrams. The whole message of the teaching of spirituality is “Attha hi atthano natho” – that “you are your own master”. Irrespective of the times, the teaching is timeless. The introduction of commercial flavours (offers of guaranteed time bound results and discounts) devalues the timelessness of the teachings and wavers the focus of the teacher and the students. Yoga is a personal journey there is no fee for that. Learn and share knowledge must be free. People who become rich by teaching and issuing fast certificates for foreigners damage the image yoga. kpjayi is a money making enterprise – i studied there for months and the stories i have come across are about injuries, being shouted at from across the room, being demeaned and spending a lot of money to get the “certification”. a select few like kino mcgregor etc….who wear skimpy outfits and have the sun shining out of themselves – are a sad representation of yoga with a gazillion followers and an attitude of i have been a victim trip that they use to prey upon the white followers they have amassed on instagram…rolling your thighs and pulling your shoulders down are dangerous cues and against the human body – yet ppl like them are celebrated by the masses….yoga has become a joke and there are far better yoga instructors who are underground and refuse to join this brigade…. Thank you for having shared your opinion with us. Just like there are two sides of a coin, we do believe that both sides have to be represented well. 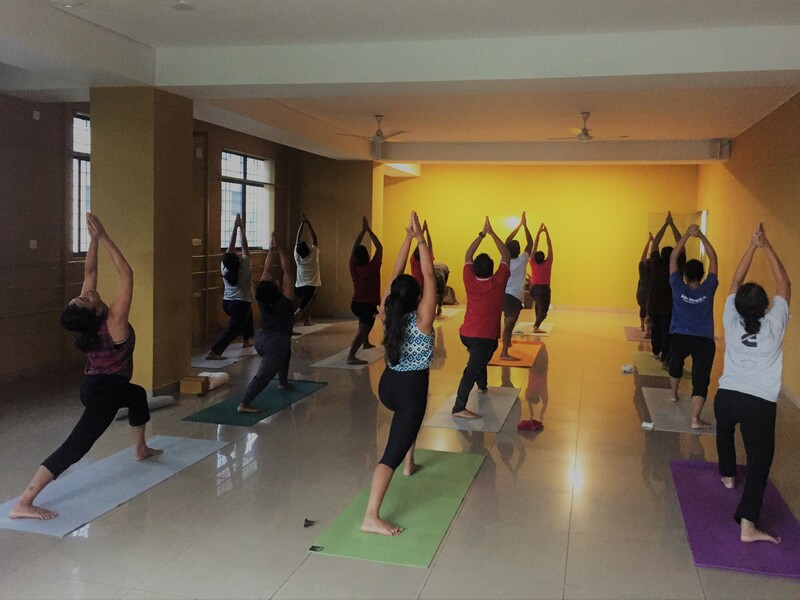 Our author who has studied with KPJAYI has shared here his thoughts on the fee disparity amongst Indians and foreigners who study Yoga in India.